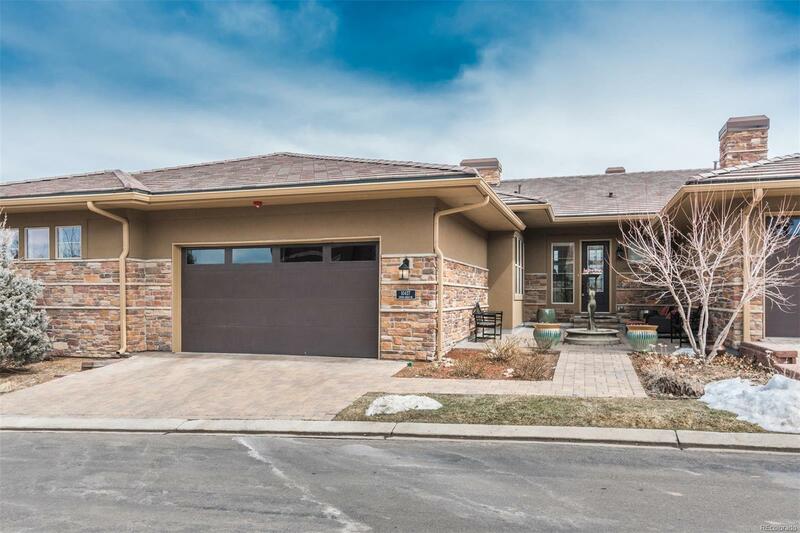 Rarely available main floor master on Inverness golf course! Newer construction with beautiful finishes. Great location near Park Meadows with easy highway access and tranquil views. One of 36 attached homes backing to the golf course. From the welcoming front courtyard, to the lower level covered patio, enjoy the spacious 3 bedroom, 3.5 bath home built in 2014 by Metropolitan Builders. Open floor plan has everything you need on the main level! Plus, newly tiled walk-out basement includes a guest suite, great room with wet bar, wine fridge and storage. 10 foot ceilings on both levels. 3-car garage.